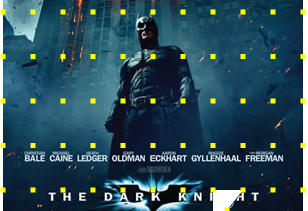 There are a growing number of posts about the technique to distort an image with the drawTriangles() function. But most of those examples create a lot of extra vertices that aren’t needed for displaying the image and more calculation means more CPU consumption. I explain here how to work with verticals and show some basic examples. The image is subdivided in triangles. 1 triangle is created by 3 points called vertices. And the triangle is called index in this example. If you divide the image in 16sections (4 x 4)Â and I ask you how many vertices the first row of the image has you can’t just say 4 x 3, but because some vertices are used in 2Â or more indices you can reduce the size of vertices. This is visible in the above sketch. As you can see “vertex 3” is used by 4 different indices. 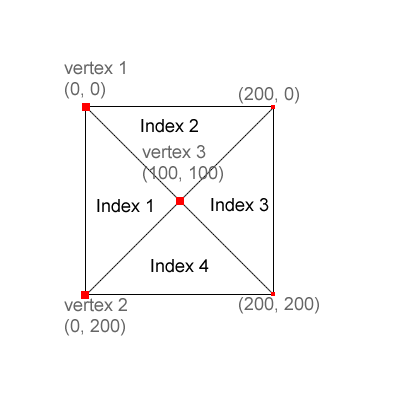 And in stead of creating 4×3 verticals you create ony3 vertices for the first index and for the rest of the indices you create 2 vertices. Very cool Arno. I havent played around with distortion, but this is encouraging. One question though, do you mean ‘verticals’ , or ‘vertices’ ? Since you point out that a triangle is made of of vertex 1, vertex 2, and vertex 3…. that’s 3 vertices (plural of ‘vertex’). Is ‘verticals’ some other term I’m just not famliar with? Thanks for pointing that out Ikezi. I changed it in the text.